• numbness, tingling or paralysis. • complicated pain due to disc injury, fracture, tumor and infection, which requires ongoing specialist support. Shoulder pain is often very complex. Osteopaths are well trained to determine the cause of your pain and decide on a course of treatment. • sharp pain when moving the elbow joint. The most common cause of hip pain is inflamed tendons, joint problems or it could be referred pain from your lower back. • Long term pain may be caused arthritis or bursitis. Your osteopath will work with you to improve your posture, discuss the way you move. Indication for consultation: severe arthritis and arthrosis. Your osteopath will define indication/contraindication for surgery. Knee trauma is common from falls and collisions however most knee pain is due to altered muscle mechanics, often involving the kneecap (patellofemoral joint), especially when the thigh muscles are contracting (e.g squatting, walking up and down stairs, running). Osteopaths will determine the cause of your knee pain, contributing factors (wasting of inner thigh muscles, feet rolling inward, legs bowing inward etc.) and most importantly help you correct the mechanics of your knee and other joints. The pain in the hill area is usually due to the plantar fasciitis, rather than the heel spur itself. Inadequate arch support from poor footwear is the most common cause of plantar fasciitis. As the arch is collapsing the plantar fascia is placed under great stress and often other muscles of the foot and lower leg are working to help stabilize. The result is marked joint restriction and muscular tension with pain in the foot and lower leg. Osteopaths will work to increase the joint range of motion and flexibility of muscles in the feet and lower leg, advise you on appropriate footwear and exercises, in some situations use of arch supports may be beneficial. 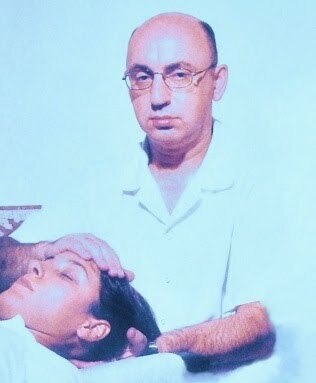 Osteopathic treatment involves manual techniques, including soft tissue stretching, mobilization, inhibition and manipulation. • knee, leg and ankle injuries. As your pregnancy progresses, the extra weight creates a shift in your body’s centre of gravity. Your supporting ligaments also soften. These factors can add stress to your body, causing some problems. Besides osteopathic treatment your osteopath can demonstrate self-help techniques which you and your partner can use during pregnancy and labor to maximize the safety and comfort of you and your growing baby. Osteopathic care can assist the young body to adapt to growth-related changes which can prevent other health problems. It can help your baby grow into a healthy child and, ultimately, a healthy young adult. Effective, early treatment can prevent other problems from occurring. Many seniors mistakenly believe the effect of ageing on their body's joints is untreatable and inevitable, and they have no alternative but to learn to live a lesser life with their pain. But it’s not quite truth. Osteopathic techniques aim to maintain your health, mobility, balance, reduce further joint wear and tear, and help keep you active and independent.